presence on the national and international scene as an independent, integrated energy company, capable of providing innovative, efficient and sustainable solutions. 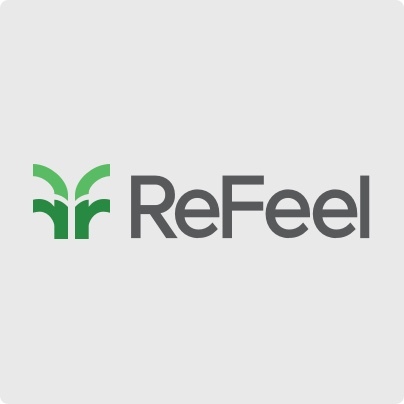 Vision of ReFeel is to contribute to the worldwide development of the green economy offering sustainable and innovative solutions throughout the entire energy value chain, fostering a better interaction between economy, social communities and the environment. Offices in Italy, Switzerland, Dominican Republic, Panama and Brazil. 5 Main Business Units: Development, EPC, Energy Efficiency, Advisory and Mobility. The Management of a leading multiplex Company decided to embark on a virtuous cycle of energy performance improvement, starting with the understanding of their energy consumption in two of the 34 cinemas located throughout Italy . The Energy Audit allowed to deeply understand the way energy was used, to define the energy baseline and to estimate the potential savings. With the Energy Management activity, the client saved the 8% of his energy costs thanks to behavioural interventions and the re-definition of the functional set-points. After an Energy Audit and a technical inspection, the Company decided to invest on the metering system to better understand the way energy is consumed, to identify the criticality and detect the anomalies in the consumptions. The project of a tri-generation system is in progress. The Company asks for an Energy Management service which allows to supervise and control the consumptions trend of its properties. The optimization of the facilities consumptions has been pulled up alongside the development of analytical models which can predict the consumptions of the buildings and report alarms when anomalies are identified. The board of directors of a famous hotel group understood the strategical importance of knowing the energy consumption of its properties in order to minimize the energy costs without renouncing to ensure the maximum comfort to its client. After an Energy Audit and a technical inspection, the Company decided to invest on the energy metering system and on the Energy Management service. Thanks to the analysis of data collected by the metering system, the interventions on anomalies and settings of the facilities generated 20% savings in energy consumptions. Thanks to the analysis of data collected by the metering system, a few anomalies on the air compressor system have been detected and solved. The interventions generated 10% savings in energy consumptions. 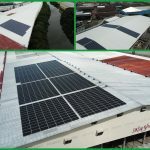 The client was looking for investment in the renewable energy space. Search and evaluation of opportunities in RES projects for more than 500 MW. Supporting in scouting, Due diligence and assistance to the acquisition. The client was looking to acquire a PV project in Romania. Scouting, Due diligence and assistance to the acquisition of 7.5 MW project, then assistance to the construction through a Construction Management Service Contract.